Morgan Stanley is tackling the most complicated piece of its earnings puzzle. Chief Executive James Gorman may lay off a quarter of the bank’s bond, currency and commodities traders – probably hundreds of people, according to the Wall Street Journal, though the firm is not commenting. The unpredictable quarterly swings in this part of the $67 billion investment banking firm’s business usually decide whether Gorman hits or misses the financial-return targets he has set. The New York bank has already taken a knife to the division, known by its acronym FIC, for Fixed Income and Commodities. The unit now carries just $150 billion of risk-weighted assets on its balance sheet. That’s down $240 billion over the past four years as Gorman moved away from his predecessor’s attempts at hand-to-hand combat with Goldman Sachs. But the market is declining. Trading bonds, dollars and oil contracts used to bring in $150 billion of revenue a year for Wall Street. That may only hit $65 billion this year, according to research firm Coalition. Middle men, particularly at regulated banks, also have to hold more capital against the business, reducing profitability further. 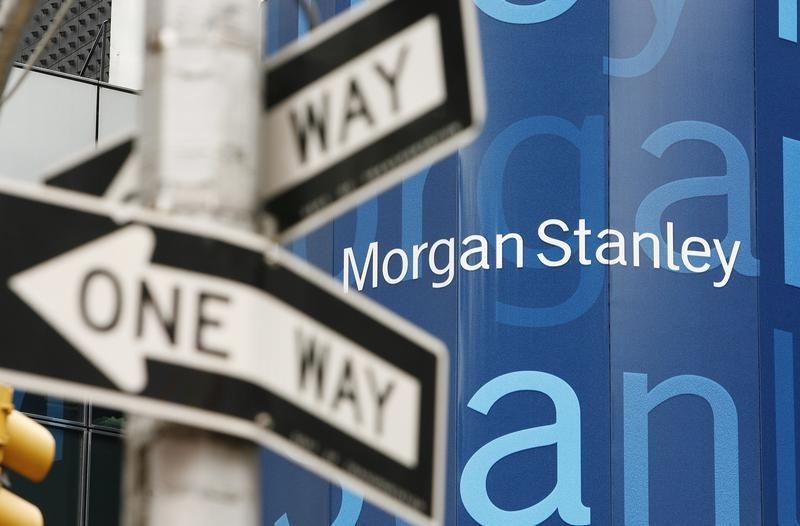 Unlike rivals JPMorgan and Citigroup, Morgan Stanley doesn’t have a big treasury business providing a steady flow of low-fee but high-volume trades from corporate clients doing simple hedging or currency exchanges. As a consequence, Morgan Stanley’s traders are more exposed when institutional investors sit on the sidelines. The top-line difference between its best and worst quarters since the start of last year is a whopping 225 percent. The variance at wealth management, meanwhile, which Gorman has turned into the firm’s largest and best-performing business, is a mere 7 percent. When the traders have a bad quarter, Morgan Stanley suffers – such as in the three months to both December 2014 and this September, the bank’s worst two quarters since the start of last year. President Colm Kelleher has already warned that this quarter looks crummy. If results match the summer showing, it may leave the bank’s return on equity for 2015 at 8.6 percent, short of Gorman’s 10 percent target. Cutting staff should plug some of the gap. The bigger questions, though, are whether Gorman, Kelleher and new trading boss Ted Pick will trim the mix of products on offer – as UBS did in 2011 – and reduce the unit’s capital even further. These would be far more telling about their willingness to address fixed-income trading’s long-term drag on the rest of the franchise. Morgan Stanley plans to cut up to 25 percent of its fixed-income jobs, according to a person familiar with the matter. The workforce reduction will be across all regions and is set to take place in the next two weeks, the person said on Nov. 30. The news was first reported by Bloomberg.